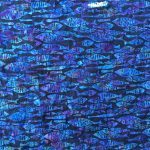 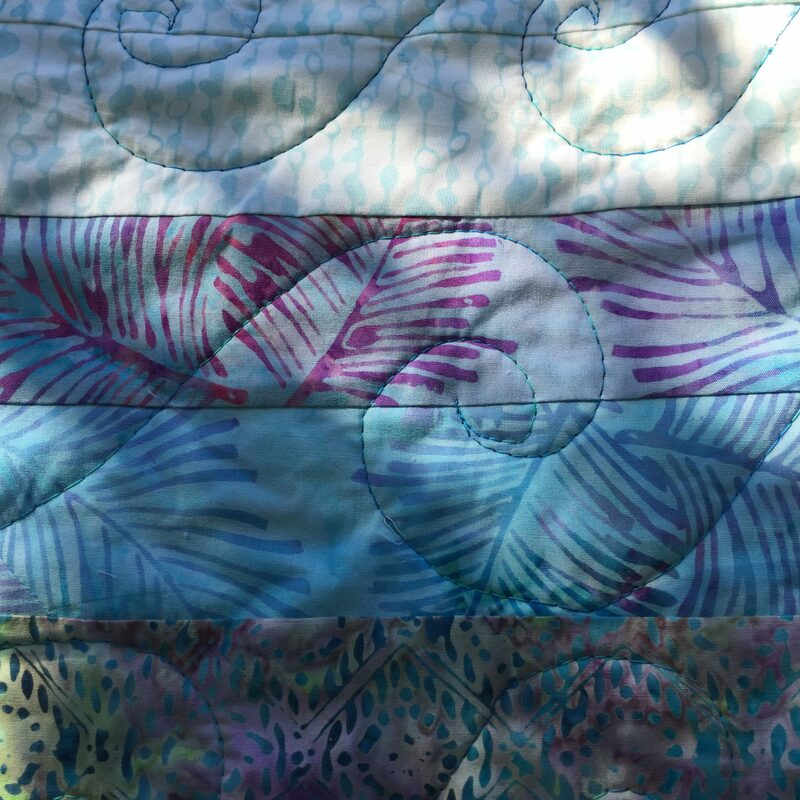 This 59″ x 61″ lap quilt is made from batiks in cool colors using the Wave to the Crowd pattern by A Quilter’s Dream. 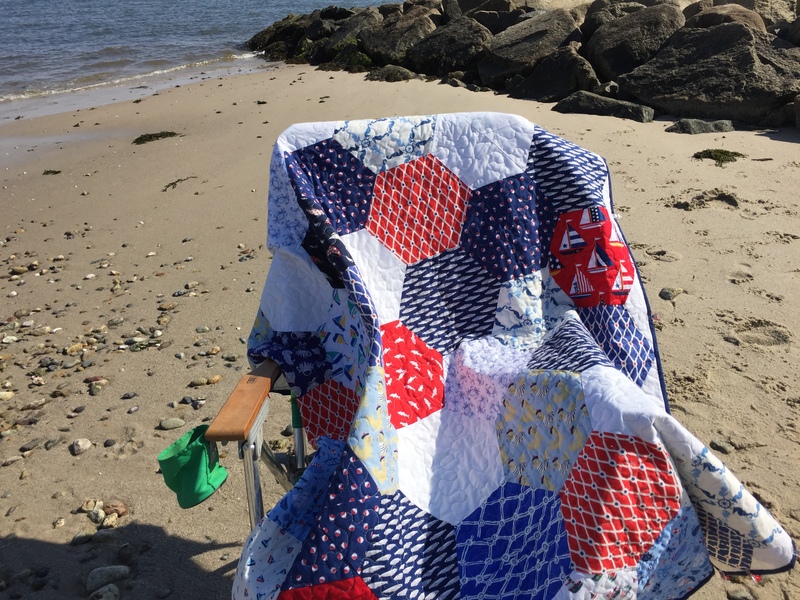 It has a cotton batting and is free-motion quilted in a wave motif. 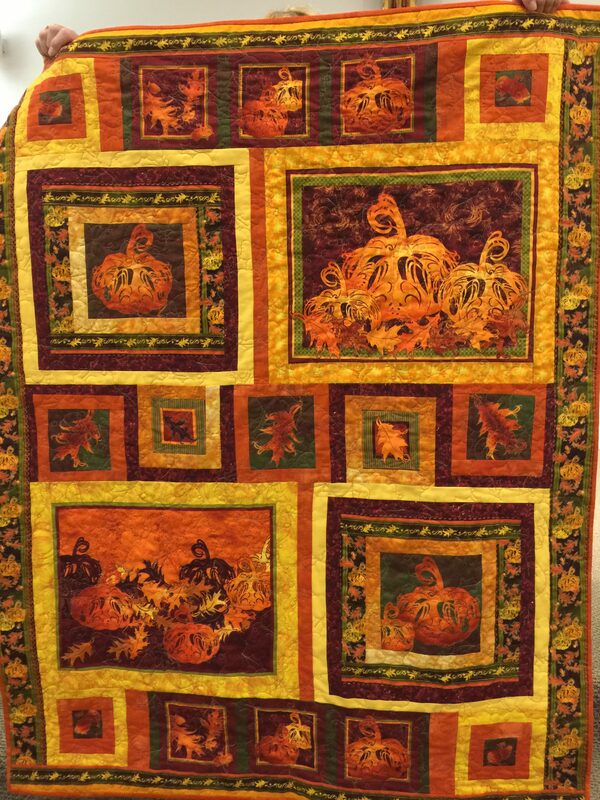 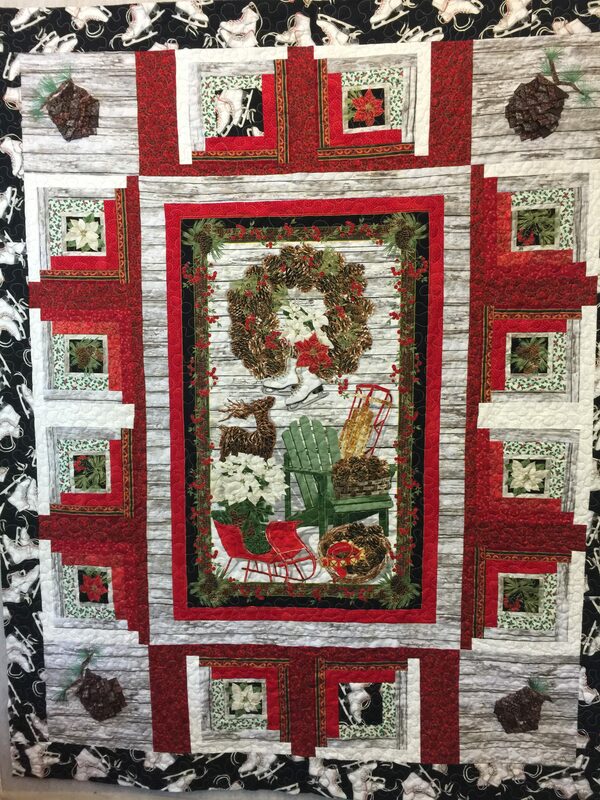 The binding is pieced from fabrics used in the quilt top. 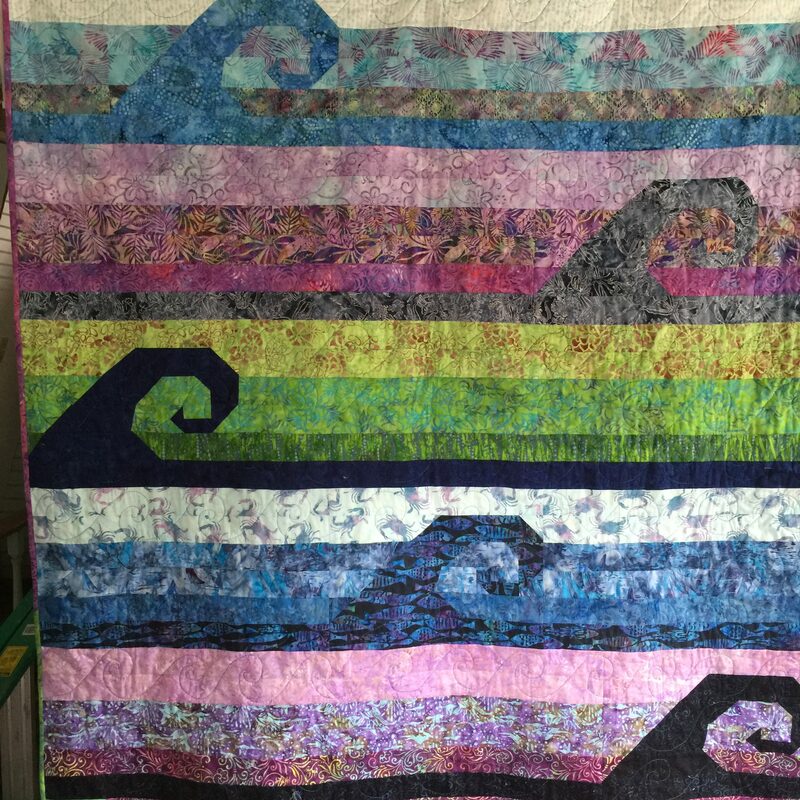 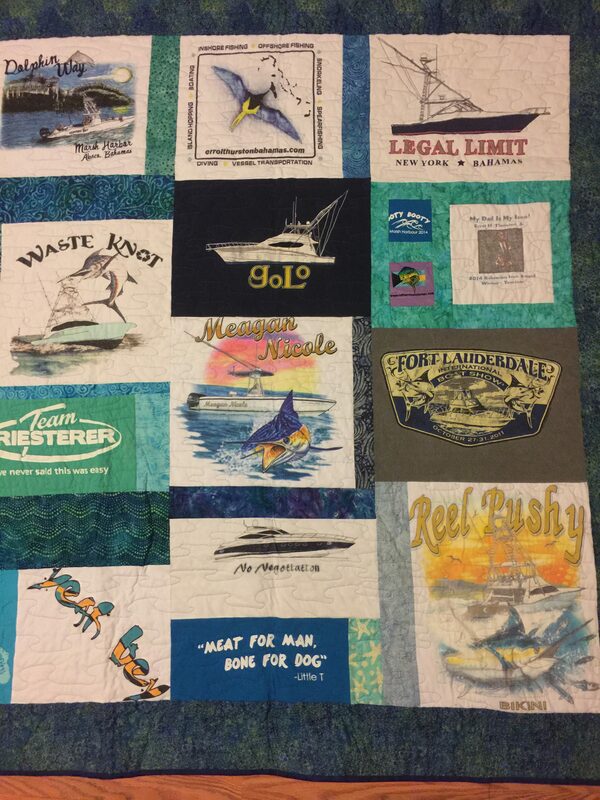 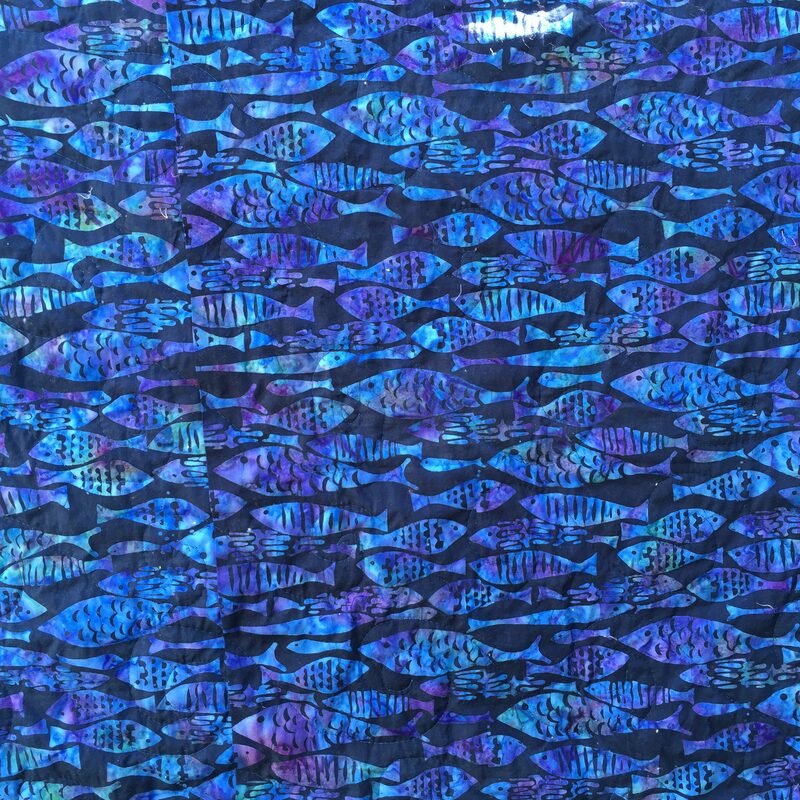 This quilt is great for anyone who loves the sea and the surf.